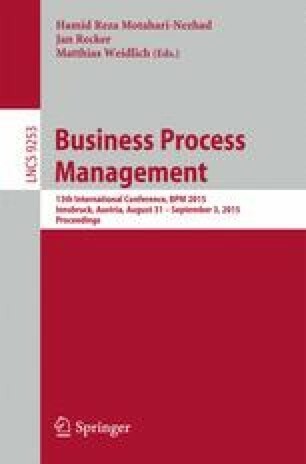 This paper addresses the problem of predicting the outcome of an ongoing case of a business process based on event logs. In this setting, the outcome of a case may refer for example to the achievement of a performance objective or the fulfillment of a compliance rule upon completion of the case. Given a log consisting of traces of completed cases, given a trace of an ongoing case, and given two or more possible outcomes (e.g., a positive and a negative outcome), the paper addresses the problem of determining the most likely outcome for the case in question. Previous approaches to this problem are largely based on simple symbolic sequence classification, meaning that they extract features from traces seen as sequences of event labels, and use these features to construct a classifier for runtime prediction. In doing so, these approaches ignore the data payload associated to each event. This paper approaches the problem from a different angle by treating traces as complex symbolic sequences, that is, sequences of events each carrying a data payload. In this context, the paper outlines different feature encodings of complex symbolic sequences and compares their predictive accuracy on real-life business process event logs.